Home / Why the S in Fish Days? We’ve heard it time and time again as we’ve strolled the Fish Day grounds through the years. Whispers of “they spelled it wrong” can be heard in our wake. Most people think of our town’s most glorious day as a one-day affair. This would be underestimating the whole thing – almost to criminal proportions. It may be the World’s Largest One-Day Outdoor Fish Fry to you, but to us, it’s the World’s Worst Three-Day Hangover. From Fish Day Eve Day Eve to Fish Day to the post Fish Day recovery, you can find us celebrating all the grandeur that is Port Washington. There, that’s it, that’s why. Born that hazy lazy summer of ’04, inspired by “Gotta Have More Cowbell” and the Blue Oyster Cult performance. A trucker hat designed entirely in Microsoft Word, put white embroidering to an anatomical brown mesh cap. 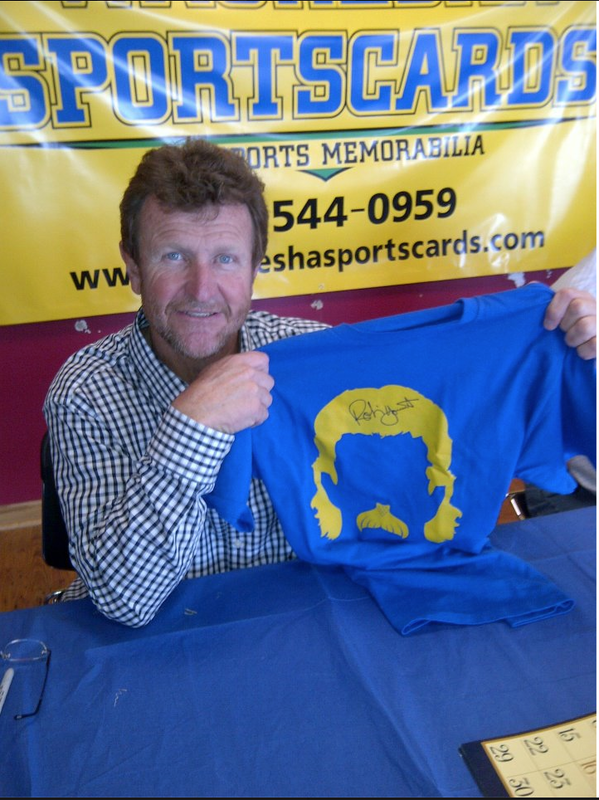 Featured in many publications to date, our tees and hats have been seen in the hands of many a famous celebrity from Blue Oyster Cult to the Marshall Tucker Band to Robin Yount. Our humble little t-shirt stand is in no way, shape, or form associated with the official City of Port Washington’s Fish Day committee. But is it the “O-Fish-al” t-shirt of Fish Days with an S!